Men: 1. 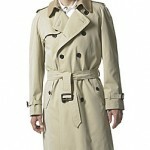 Trench or Rain Coat. 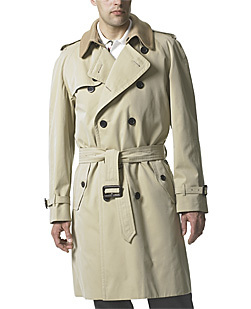 Burberry and Brooks Brothers are the go to looks for this style, but if that is not your preference (or budget) simply purchase a belted style in a neutral color. I suggest double breasted. 2. 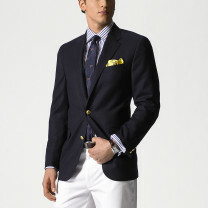 Blue Blazer. We are seeing this style with jeans on the weekend and it provides a nice alternative to a leather or warm up jacket. Try twill or sackcloth fabric for a more casual look. 3. Blue Jeans. Medium or dark wash great fitting jeans are a versatile addition to your wardrobe, and can be dressed up or down. Women: 1. Look for a lightweight pant or skirt suit in neutral gray, tan, olive or blush. This will get you away from basic black, but still with a versatile and flattering outfit. 2. Rayon or Jersey Knit Cardigan Topper.This look will take you from Business Casual to the Weekend in all sorts of weather. 3. 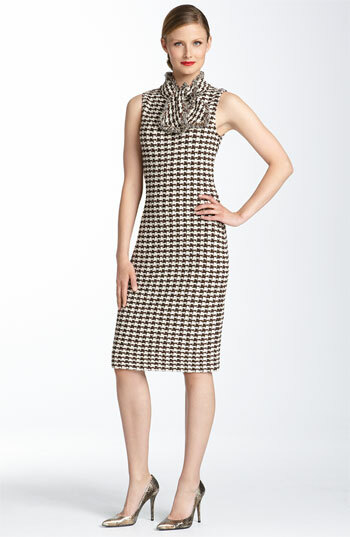 Sheath Dress with jacket or scarf. Again, classic and versatile for work, wedding, charity events, etc. Also, it will always be in style. Try one or several of these versatile basics to give your wardrobe a spring pick-me-up, as the weather in the Northeast certainly isn’t doing it!